Air Line Pilots Association (ALPA), representing the 12,000 pilots of Continental Airlines and United Airlines of United Continental Holdings (Chicago), has called for a strike vote by its members after failing to come to an agreement with management on a single contract for the pilots after two years of negotiations. Management states it is making progress in the negotiations and any strike vote will not alter the negotiations. The opposite is likely, a call for a strike will probably result in a final settlement. Reminder to those wanting to merge companies; make sure you have the labor contracts in order before any merger! Copyright Photo: Nick Dean. Storm clouds ahead? Like US Airways, Continental Airlines and United Airlines are in reality still two separate airlines with two pilot contract groups even though the companies have “merged” under the United Continental Holdings name and the Continental brand with the United name. This entry was posted in Continental Airlines, United Airlines and tagged Continental Airlines, United Airlines, United Continental Holdings on May 18, 2012 by Bruce Drum. Was the Continental takeover of United a mistake? Continental Airlines‘ (Houston) merger with United Airlines (Chicago) was billed as a “merger of equals.” In reality it was a takeover of United by Continental. Continental was the best and most well-run U.S. legacy carrier before the merger. The Continental name is gone but the brand continues with the “new United”. United’s CEO Glenn Tilton got his way – he found someone to take United off his hands. Today the new UA is plagued with problems. 1 and 1 does not always equal 2. The new United is not the old Continental with more aircraft and people. Efficiency and profitability have taken a hit. Joe Brancatelli of Portfolio.com explores the headline question and other issues facing the new United in his “Worst. Airline. Ever. Again” article. This entry was posted in Continental Airlines, United Airlines and tagged Continental Airlines, United Airlines on May 2, 2012 by Bruce Drum. 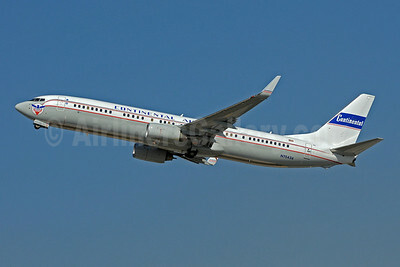 Continental Airlines (Houston) as previously reported, will operate its last CO flight tonight. As planned, flight CO 1267 from Phoenix to Cleveland is currently the last scheduled flight. 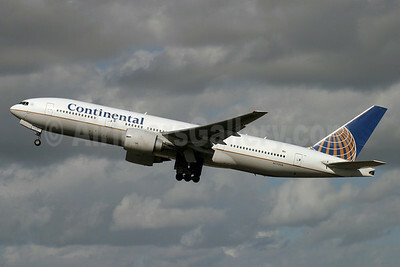 This entry was posted in Continental Airlines and tagged Continental Airlines on March 2, 2012 by Bruce Drum. United Airlines (Chicago) is planning to finally integrate the Continental and United computer reservations systems and websites on March 3. This will mean the final retirement of the CO code and continental.com website although the two airlines are now considered one airline under a single operating certificate. Goodbye CO/COA. This entry was posted in Continental Airlines, United Airlines and tagged Continental Airlines, United Airlines on March 1, 2012 by Bruce Drum. The United Airlines (Chicago) and Continental Airlines (Houston) merger is examined in an interesting article by Drake Bennett in the February 8 issue of Bloomberg Businessweek. Photo: Cover of the February 8 issue on newsstands. This entry was posted in Continental Airlines, United Airlines and tagged Continental Airlines, United Airlines on February 4, 2012 by Bruce Drum. United Airlines Boeing 737-824 WL N76516 (msn 37096) LAX (Brandon Farris) “Eco-Skies”, originally uploaded by Airliners Gallery. United Continental Holdings, Inc. (Chicago) announced today (November 30) that it received Federal Aviation Administration (FAA) approval for a single operating certificate (SOC), marking another significant achievement in the integration of United Airlines (Chicago) and Continental Airlines (Houston). This regulatory milestone, while significant from an operational policies and procedures perspective, does not change how customers interact with the airline. Customers of United and Continental will continue to shop for flights, obtain seat assignments and check flight status on each carrier’s respective website until the company migrates to a single passenger service system in the first quarter of 2012. At that point, from a customer’s perspective, the two carriers will function as one airline. The Continental Airlines website is still being maintained although all flights are now operated as United Airlines. The two carriers went through a rigorous 18-month process of aligning operating policies and procedures to obtain a single operating certificate from the FAA. A team of more than 500 employees from both carriers worked together to evaluate closely each pre-integration program, process and operating specification from both airlines to determine the best choice for the new United. The team streamlined more than 440 operational manuals, programs and procedures down to approximately 260 manuals for the new United – a process that involved roughly 2,000 changes. Effective today, air traffic control communications will refer to all United and Continental flights as “United.” United and Continental announced their merger in May 2010 and closed the transaction on October 1, 2010. From this point onwards, technically “Continental Airlines” is no longer an airline. Ironically, as mentioned previously, the Continental Part 121 Air Operating Certificate (AOC) is the surviving AOC for the new United Airlines. The old United AOC was officially retired today. The CO AOC will live on (as well as the 1991 color scheme) as the operating AOC of the new United Airlines. Copyright Photo: Brandon Farris. Please click on the photo for additional information on this special color scheme. This entry was posted in Continental Airlines, United Airlines and tagged Continental Airlines, United Airlines on November 30, 2011 by Bruce Drum. Continental Airlines Boeing 737-924 ER WL N75436 (msn 33531) FLL (1947 “Blue Skyway” Retrojet) (Bruce Drum), originally uploaded by Airliners Gallery. Continental Airlines (Houston) will reach the end of a very colorful history since July 15, 1934 this week. 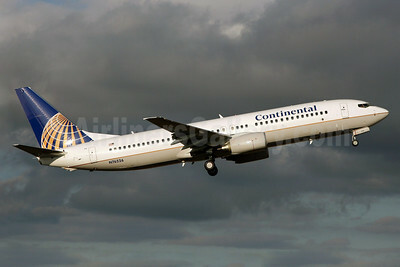 On November 30, 2011 at 1200Z (GMT) (0600 CST) the Continental Airlines name will slip into aviation history. On this date, United Airlines and Continental will complete their merger when a single operating certificate (SOC) will become a reality. Ironically, due to operational reasons, the CO certificate (AOC) will survive operating as United Airlines. The United AOC is the certificate being retired. All flights will use the “United” call sign and UA/UAL codes after this date. 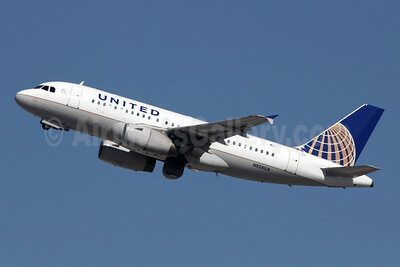 The CO 1991 color scheme will also survive as the “new” livery of United Airlines. The final COA flight to land is planned to be flight COA 86 Shanghai (Pudong) (PVG)-Newark (EWR) on November 30. A Tampa (TPA)-Newark (EWR) flight COA 1612 is due to depart at 0659 (EST) (1159Z) on November 30 and will be the final dispatched COA flight if not delayed. Copyright Photo: Bruce Drum. Please click on the photo for information on the “Blue Skyway” retrojet. Editorial Note: As a special salute to CO, we will be adding many new and historical photos this week to our growing AG library, specifically the CO Slide Show. CLICK HERE for the Continental Slide Show (check back often this week). This entry was posted in Continental Airlines, United Airlines and tagged Continental Airlines, United Airlines on November 28, 2011 by Bruce Drum.